Have you missed the natural style costumes during the Harvest Festival? This weekend you can buy Druid’s Chest which contains Druid’s or Nymph’s Garments, Royal Blessing x30 and Treasure Seeker’s Elixir x10 for 599 reales. Elgore server will be offline for 2 hours on March 28 starting at 2 AM PST (10 AM GMT/UTC). Elgore server will be offline for 2 hours on March 21 starting at 2 AM PST (10 AM GMT/UTC). Elgore server will be offline for 2 hours on March 14 starting at 2 AM PST (10 AM GMT/UTC). It's time to announce our Vallentine card contest winners! Elgore server will be offline for 2 hours on March 7 starting at 2 AM PST (10 AM GMT/UTC). 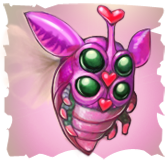 In order to celebrate glorious coming of Spring Royal Treasury announces sale of most uncommon and rare goods - Dryad's Caskets and Small Box of Butterflies! 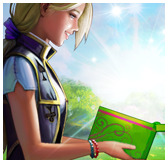 Starting with March 1 and up to March 14 you will find Dryad's Caskets and Small Box of Butterflies in the Premium Store. Surely you have already noticed Rates X3 enabled in the game! Starting from February 28 and up to March 14 (from maintenance to maintenance), Premium Account holders will get the tripled bonus to the experience. Of course! We want everyone could enjoy the benefits of Rates X3, so we present you with Royal Blessing X7 and some other useful items. Not boxes this time though, just to prevent accidents happen. Touch surprising ancient mysteries of Dryads! Open magic Caskets to obtain unique garment and flower petals steps, apparent signs of Spring reigning in your heart! Maintenance on February 28: 3 hours! Elgore server will be offline for 3 hours on February 28 starting at 2 AM PST (10 AM GMT/UTC).